An elevated water tank helps sustainably deliver treated water to residents in Kibera. SHOFCO, Pentair and the Pentair Foundation are working to replicate the program in Mathare. 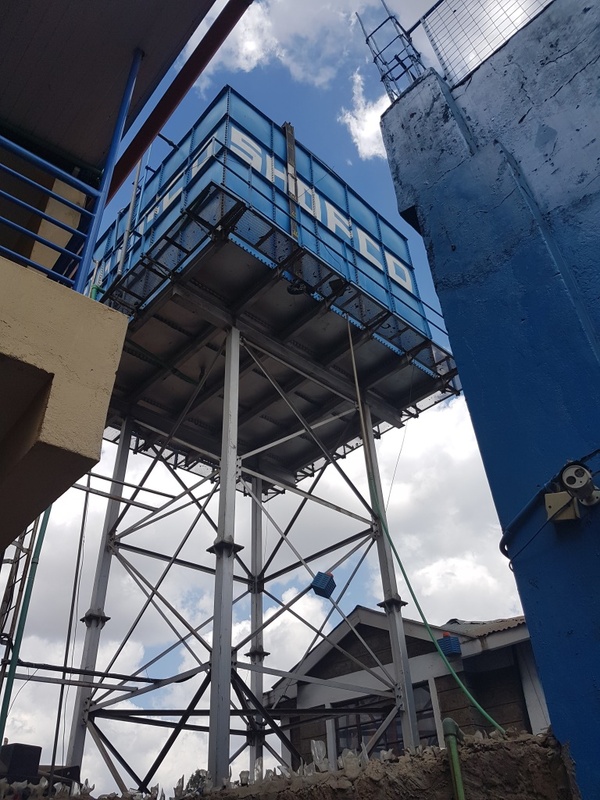 A custom designed aerial system consists of overhead pipes supported by wooden poles that connect safe water distribution kiosks throughout Kibera. SHOFCO, Pentair and the Pentair Foundation are working to replicate the program in Mathare. 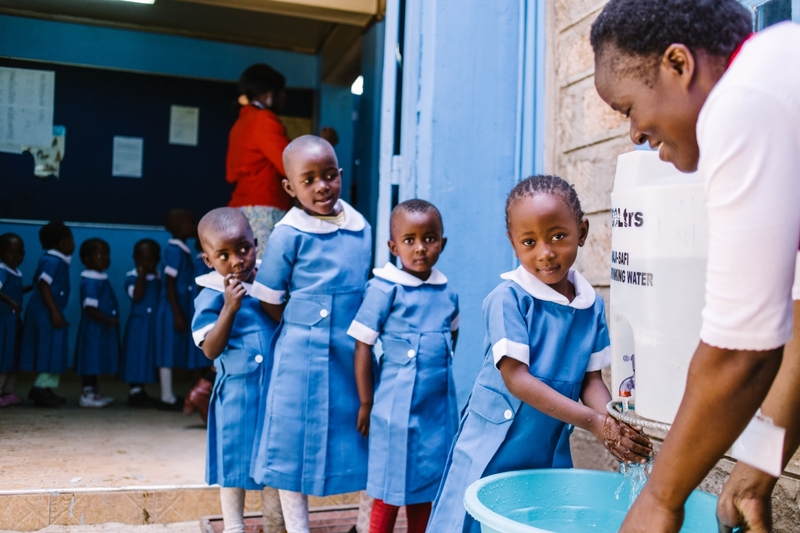 Pentair and the Pentair Foundation partnered with SHOFCO to implement the Kibera School for Girls' Clean Water Access Project pilot program. The organizations are working to replicate the project in Mathare. Photo courtesy of Louis Nderi.